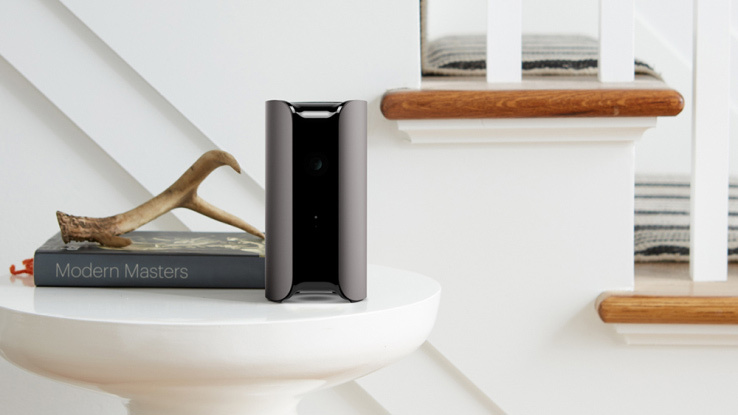 Security company Canary has unveiled a new security camera called Canary View at Vegas electronic show CES 2018. The Canary View is a smaller, more streamlined version of the original Canary camera, for $99 (about £70, AU$120). The original Canary (now being referred to as Canary All-In-One), was a huge Indiegogo success story, managing to secure close to 2 million dollars, 1,962% of its original target. But it’s now finding itself in a market where it’s more expensive than many of its competitors, so it’s not surprising to see a cheaper model hit the market. The Canary View loses HomeHealth, an air quality sensor that frankly the camera could live without. It’s also significantly smaller, which is also a positive change. In order to access the full range of features available on the Canary View, you’ll need to have a subscription to Canary Membership, which allows you to use the microphone and speaker on-board to have a conversation with someone in your house, unlimited downloads, and more. The Canary View is available to buy from the Canary website. There’s no indication at the moment of when the Canary View will be coming to other markets but we’ll let you know more when we have it. Other news from Canary during CES is the integration of Amazon devices, meaning you can request to stream footage from a Canary camera direct to your Amazon Spot, Show, and some Fire devices. There’s also a new feature for Canary’s outdoor camera called ‘package detection’ that uses an algorithm to identify if a package has been delivered and send you a notification.